The Law Offices of Todd D. Beauregard, P.C. has worked with construction companies, developers and local contractors in Massachusetts and New Hampshire assisting them with all types of construction laws including building contracts, agreements, and litigations on projects related to commercial and residential development. According to the U.S. Census Bureau over 651,000 housing units where built in the United States in 2010. From these numbers it is easy to see how important it is to make sure your construction project goes smoothly. Hiring an attorney to represent you during the process is one of the best ways to ensure your rights are protected. An attorney that knows the construction laws in your state will fully understand all of the laws concerning your particular project type as well as the contract laws relating to any of the agreements you might be signing off on to get the job done. 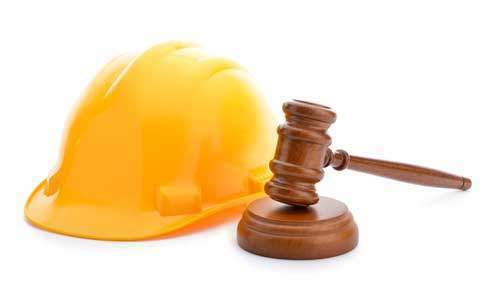 Whether you are a construction company in need of a knowledgeable attorney to help move the construction process or you are an individual working with a contractor on a project in Massachusetts or New Hampshire, the Law Office of Todd D. Beauregard has the experience and knowledge base that can help you as the process goes along. Waiting until you get into a dispute to hire an attorney can make things a great deal more difficult. Having the right team in your corner from the start can save you a great deal of time and heartache. What if I Already Started a Project? If you have already started the process and find yourself in a situation that is not what you expected, the Law Office of Todd D. Beauregard can help you find a way to get the project back on track or deal with whatever dispute you might be involved in. Providing the attorney with all of the information concerning the project is the best way to ensure that you are being represented in the best way possible. Although you may think some information is unimportant, the attorney may need that information in order to prepare a viable strategy for your situation.